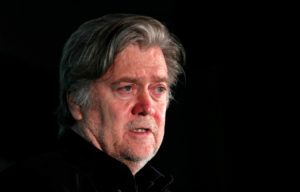 “If you were never-Trump, refused to ever endorse the president or withdrew your endorsement following ‘Access Hollywood’ weekend, don’t even bother walking through Bannon’s door,” said Bannon adviser Andy Surabian. In West Virginia, Bannon is supporting Attorney General Patrick Morrisey over Rep. Evan Jenkins, a Democrat who switched parties four years ago to run for Congress. Morrisey, however, is no Washington newcomer, having been a lawyer for a Washington lobbying firm and later a lawyer for the House Energy and Commerce Committee before he moved to West Virginia.